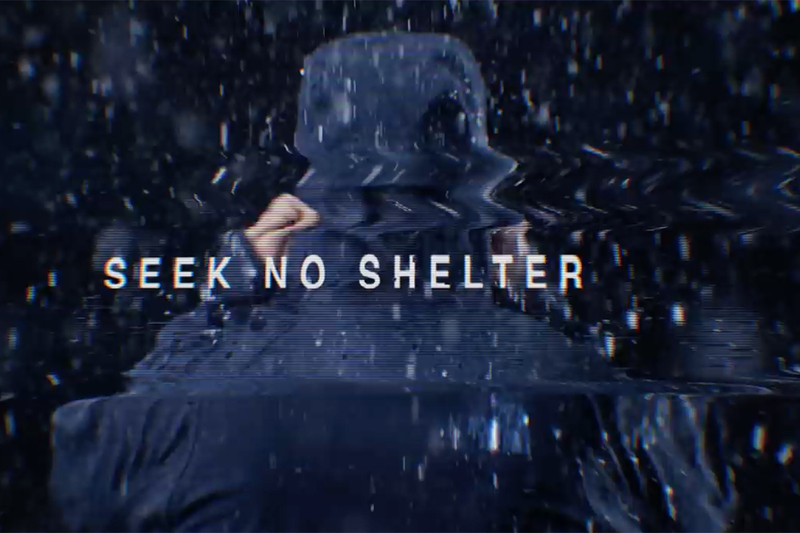 Since Donald Trump came to power making promises about building walls, several advertisers have taken the opportunity to make walls a focal point in their marketing -- for example, Diesel's "Make Love Not Walls" campaign, 84 Lumber's controversial Super Bowl ad and MTV's "Beyond the Wall" diversity installation. The North Face is the latest brand to do so, but in its case it uses the symbol of a wall for a positive purpose -- climbing. 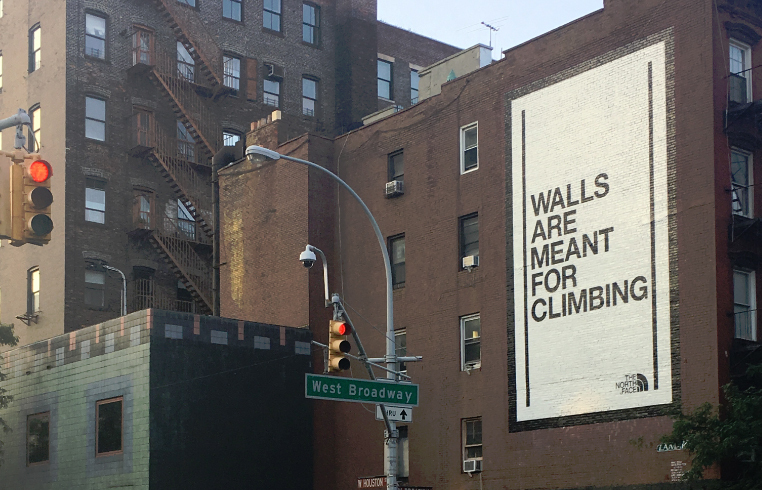 Its new global campaign, via Sid Lee and United Entertainment Group, is taglined "walls are meant for climbing," and appropriately, includes outdoor murals on buildings in New York and London. As part of the campaign, The North Face donated $1 million to The Trust for Public Land to help build public climbing walls in the U.S. To mark this, it created a free global day of climbing in partnership with gyms around the world, which took place last Saturday (Aug. 19). The brand also had a presence at the Outside Lands Music Festival last weekend with a climbing wall for music fans. Additional climbing activities with athletes will take place in New York, Shanghai and London. 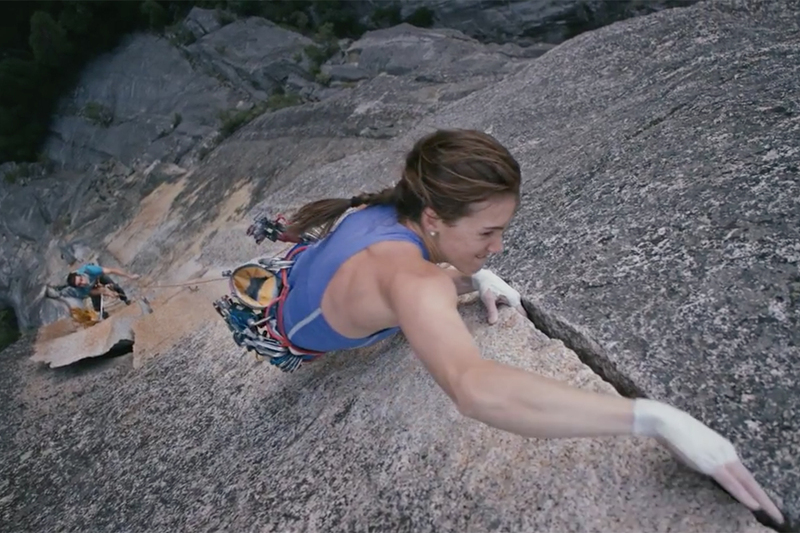 The campaign encourages people to take up climbing, but also makes the underlying point that climbing is about trust and unity, rather than division. 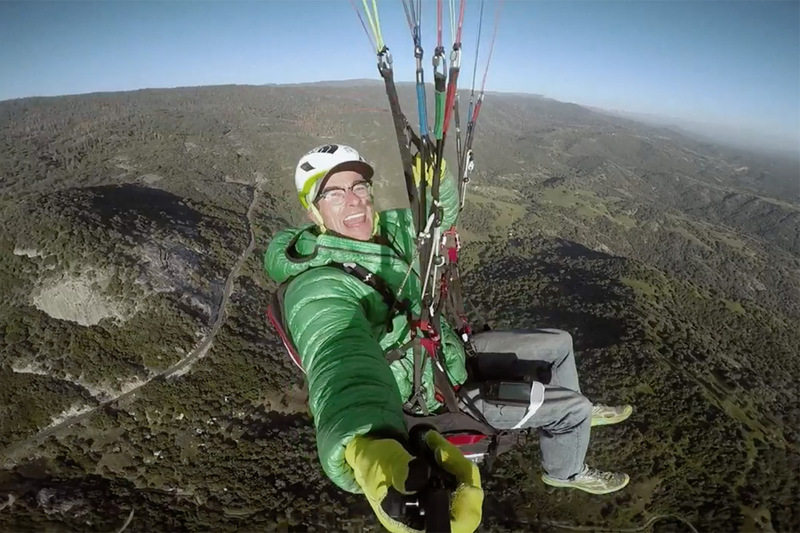 "The North Face has been a passionate partner to the world's climbing community for more than 50 years," says Tom Herbst, global vice president of marketing at The North Face, in a statement. 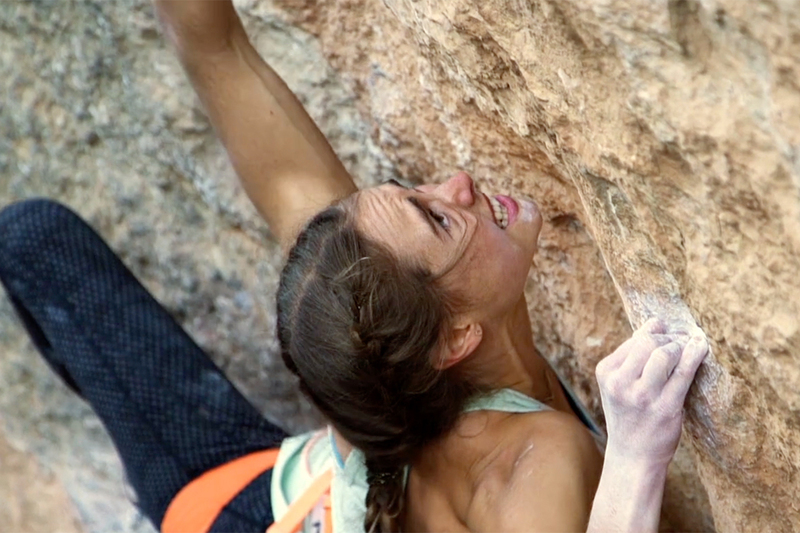 "We see walls as a place to unite our communities through the sport of climbing -- a sport that requires trust and partnership. Our climbing community is truly global and we believe that communities are stronger when inclusive. Our intent is to inspire others to think more hopefully about the type of community we all want to work and play in."